Bethlehem Shoals, Silverbird 5000 and Big Baby Belafonte are three of the authors of the baskeball blog Free Darko. 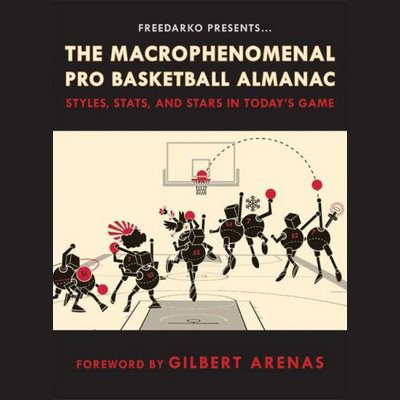 Their distinctive perspective on the game is reflected not just on the blog, but also in their first book, "The Macrophenomenal Pro Basketball Almanac." They claim in our interview, among other things, that they started watching basketball because it went so well with their interest in Ornette Colemen records. It's certainly the only basketball guide that features an elaborate visual metaphor based on the Aztec calendar. first time, long time. i was surprised to see this featured here. excellent book, nice interview. +2 cool points for jesse.